As the 30th anniversary of the liberation of the Falklands from the Argentine invasion approaches, the Argentine government has Falklanders worried. Argentine President Cristina Fernández de Kirchner has embargoed ships flying the Falklands flag, encouraged boycotts of British products and accused the British of militarising the South Atlantic. President Kirchner vowed to raise the issue of the Falklands’ sovereignty at the United Nations and hopes to annex the Islands as an Argentine colony, a core component of her political agenda. Before the Kirchner government pleas to the UN, she should note the issue of self-determination has a long history, and Argentina has a record of defending self-determination before the UN. According to a 2010 UN release, Argentine Senator Rubén Giustiniani called for self-determination of Puerto Rico, stating that “Argentina deemed Puerto Rico’s cause to be its own and reaffirmed the calls for recognition of its right to self-determination”. He also stated that the Argentine Senate fully supported Puerto Rico’s right to self-determination. Clearly, Argentina wants to dictate when self-determination should apply, regardless of the expressed opinion of the affected population. Notably, support for Puerto Rican independence has never received more than 5% of the vote on three separate referendums. The Obama administration’s official position is that the United Kingdom and Argentina should negotiate the sovereignty of the Falklands. This misguided policy misses the point of the Falklanders’ right to self-determination, a right that the British government has been determined to protect until Falklanders decide otherwise. The issue of sovereignty is a non-starter unless the Falklanders expressly choose to change their current status. The Argentine Constitution contains a provision that states that the Falkland Islands are Argentine, making negotiations tainted from the start. Falklanders have a democratic system of government, an effective Chamber of Commerce, produce annual budget surpluses and maintain excellent primary and secondary schools. The Falkland Islands has determined for itself that it wishes to remain associated with Britain. It is not a colonial outpost held hostage by a foreign military. President Obama should state, unequivocally, that he supports the Falklanders’ right to self-determination. 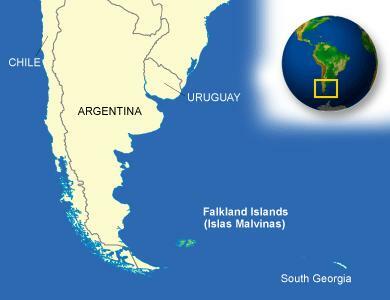 The United Kingdom has granted the Falkland Islands the right to determine their future, and President Obama should give his support to the Falklanders’ rights. Not only would this solidify US support for self-determination, it would reaffirm, again, that America remains committed to our Special Relationship with the United Kingdom – a relationship cemented by the close and long-standing friendships between our countries’ leaders – Roosevelt & Churchill, Reagan & Thatcher, and Clinton and Bush with Tony Blair.